Bsal has been detected in different species of salamander across the UK, both kept as pets and in the wild. New rules on the import of Caudata amphibians are to be implemented across the UK following a decision by the European Commission. 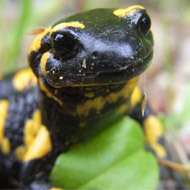 The new rules come into force on the 1 July, 2018 and seek to prevent the spread of the fungal pathogen Batrachochytrium salamandrivorans (Bsal) amongst newts and salamanders. According to the European Food Safety Authority, Bsal has been detected in different species of salamander across the UK, both kept as pets and in the wild. Cases have been reported in Germany, Belgium, Spain, the Netherlands and the UK. In some salamander species, Bsal has been shown to cause high mortality. The Ornamental Aquatic Trade Association (OATA) has urged anyone involved in the import, export or sale of Caudata species to familiarise themselves with the new rules and to ensure any animals they buy and sell conform. quarantine animals at a Fish Health Inspectorate (FHI) registered appropriate establishment and get a written authorisation from them for release once the animals have completed the quarantine period. Pets, defined as five or fewer animals accompanied by their owner, are excluded from the rules. Acquiring animals from a trade show, shop or hobbyist to become part of a collection is not defined as moving a pet.